“Thomas, AKA The Candy Perfume Boy, takes you on a journey around the fragrance world with ‘The Escentual A-Z of Fragrance’ a fun and fragrant ride that gives you all you need to know – the notes, the brands and the perfumers – to become a true fragrance addict/nerd”. Well, here we are, the final instalment in the Escentual A-Z of fragrance, finally! Along this extensive fragrance journey we’ve looked at famous perfume houses, at ingredients and styles, all from Amouage through to Yves Saint Laurent, and now all the way to the letter Z. Z is a difficult letter, of course, and we’ve spent some time trying to figure out just what we can do for this final instalment. There aren’t many fragrance things that begin with the letter Z so after thinking about the zeitgeist, the zoological and even the zombified, we settled on Zen. So what does Zen mean in terms of fragrance? Well, Zen is a school of Mahayana Buddhism that believes in meditation and focus on the mind and breath. Nowadays the term can be used to describe a feeling of peace, relaxation or focus. A zen fragrance is simply a scent with a contemplative nature – or a fragrance that instils a feeling of peace or calm. In this roundup, we’ll be looking at zen moments in life and pairing them with the perfect scent to compliment them. Don’t buckle up because it’s going to be a rather relaxing ride! I have a relaxation ritual that I follow every single evening. I come home from work, I put on my pyjamas and I brew myself a hot mug of Earl Grey. Until I’ve sat down to have my cup of tea I cannot relax and I know I’m not alone in this. Tea has been drunk for centuries, in homes in front of the TV and in ancient rituals that continue to this day. In its many varieties, tea provides moments of calm and comfort, and in times of crisis, there are not many problems that a cuppa cannot solve. Tea scents aren’t hard to come by and if one looks, they will find a range of black, red and green tea fragrances to enjoy. 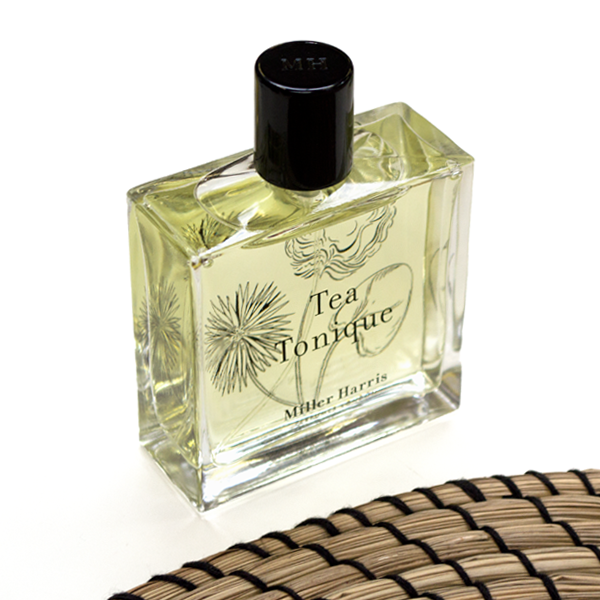 My favourite, however, and arguably the most interesting is Tea Tonique by Miller Harris. Tea Tonique gives the impression of a freshly brewed green tea but it also has the refreshing elements of a lemon iced tea and the powdery zest of Earl Grey. It’s a relaxing and enveloping fragrance that instils calm, whilst smelling utterly beautiful at the same time. I am habitually lazy so I’ve never actually done a yoga session, but I’ve always wanted to. That counts, right?! What’s great about yoga, or I should say what I’ve been told that is great about yoga seeing as I’ve never actually done it, is that it provides a feeling of peace for the spirit, body and mind. It’s more than just a physical practice, it extends to the mind and the spirit too, so a yoga fragrance has to be something peaceful and complex. 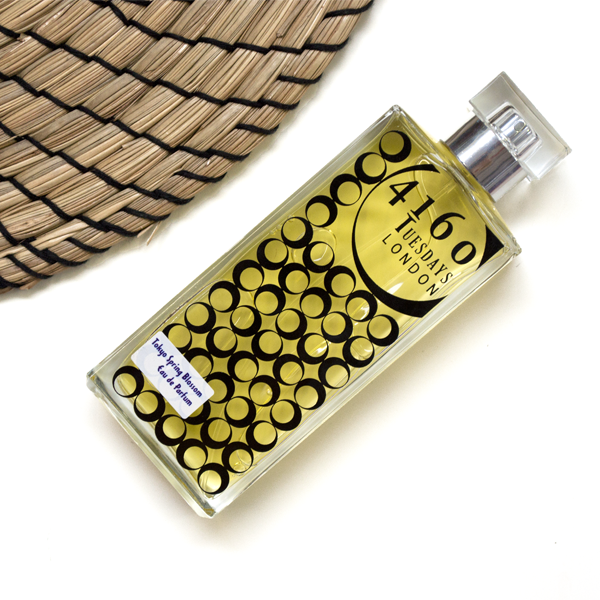 You may not know this, but Sarah McCartney the Perfumer and Founder of 4160 Tuesdays is also a yoga teacher, so it makes sense that one of her perfumes should be featured here as entirely yoga-appropriate. Tokyo Spring Blossom is my favourite fragrance in the 4160 Tuesdays lineup simply because it is packed full of lovely things. There’s violet, rose and raspberry jam to name just a few, and Tokyo Spring Blossom is the perfect scent to enjoy whilst you’re trying to master that mountain pose. There is nothing quite as restorative as nature. When I feel blue the best way for me to feel better is to go green, and by that I mean to go and walk in nature. There is nothing more calming and enjoyable than a walk and nature has so much to offer: rolling hills, fantastical woodland, rugged coastline and much, much more. A fragrance for a walk in the woods, arguably the nicest place to take a stroll, should capture the essence of all that is green. 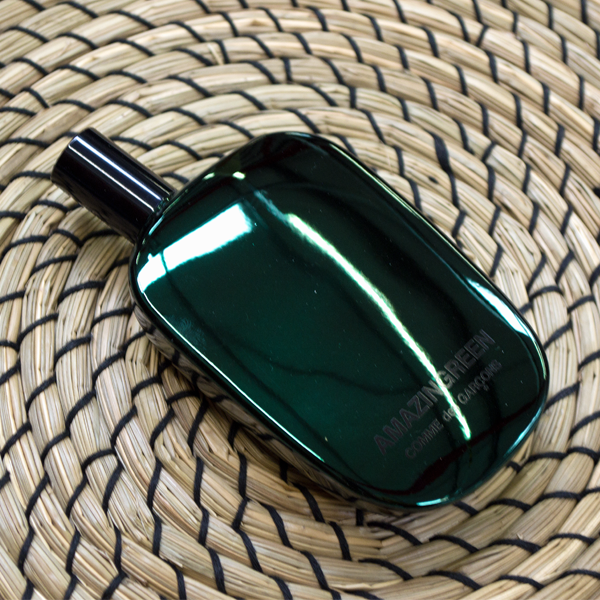 One of the very best and most unusual green fragrances is Amazingreen by Comme des Garçons. 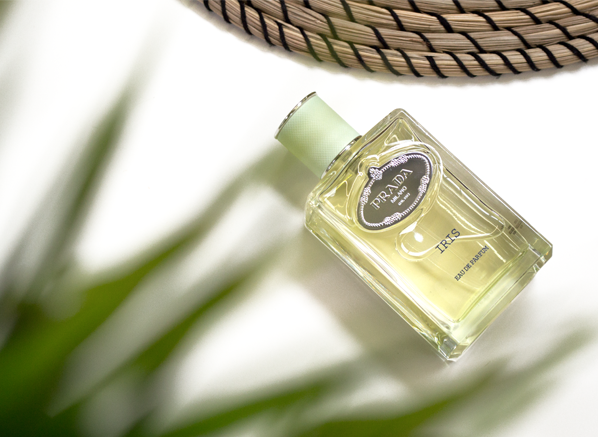 This sappy, jungle-y fragrance presents the idea of green as thick, crunchy palm leaves filled with morning dew. Underneath all of that sits the rocks and minerals of the woodland floor, with a unique gunpowder note providing an odd flinty quality that has the odour profile of cold stone and fresh air. Wear this on a walk in the woods and you will be perfectly in tune with nature. Do you remember staring at the clouds as a kid? We spent endless hours laying in fields looking at the heavens and trying to make shapes out of the billowing pillows of cloud that covered the sky. It’s at moments like this that one feels the sheer size of the world around them and how we all really are just small specks in the grand scheme of things. It’s a moment of realisation, calm and wonder. 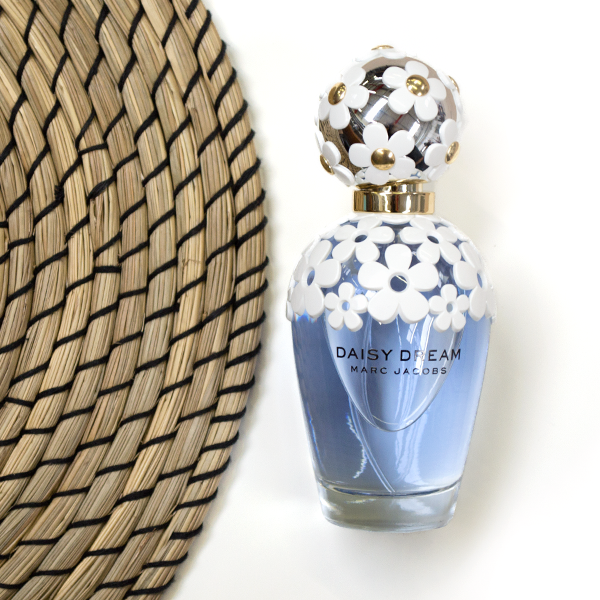 Marc Jacobs’ Daisy Dream provides an olfactory vision of the bright blue expanse. It uses blackcurrant, white flowers and musk to create an abstract interpretation of a blue sky filled with great big fluffy clouds. It’s an incredibly casual and relaxing fragrance that can be thrown on at any time for any occasion. It may not be unique or challenging, but Daisy Dream lives up to its name as a languid, dream like floral with a soft summer breeze. Meditation can take many forms but mostly it’s a process of training the mind. To meditate is to clear the mind, to focus energy and instil a sense of love and compassion. It’s a complex range of practices with many processes and outcomes, but the main aim is focus. So let’s focus on a fragrance that captures the essence of meditation. A meditative fragrance needs to be one with a single focus. To my mind, it would be a linear scent, one that is calm but not distracting. 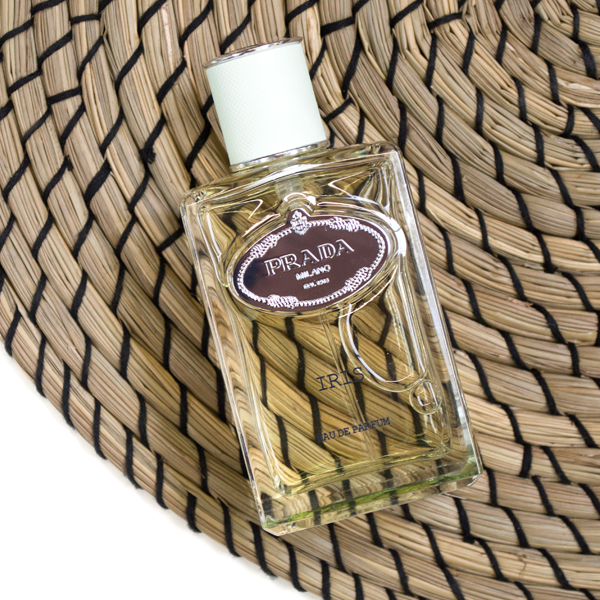 Infusion d’Iris by Prada is a perfect example. It’s fizzy, grey iris notes make it feel like one is spraying on a soft coating of suede. The fragrance does not develop considerably over time, allowing one to focus on its singular beauty, specifically the glory of orris in its boundless greyness. Smells of The Amazon after a tropical rain shower. Not too obvious or over powering just subtle. This entry was posted on Wednesday, August 30th, 2017 at 3:56 pm and is filed under Candy Perfume Boy, Fragrance, Trends. You can follow any responses to this entry through the RSS 2.0 feed. You can skip to the end and leave a response. Pinging is currently not allowed.